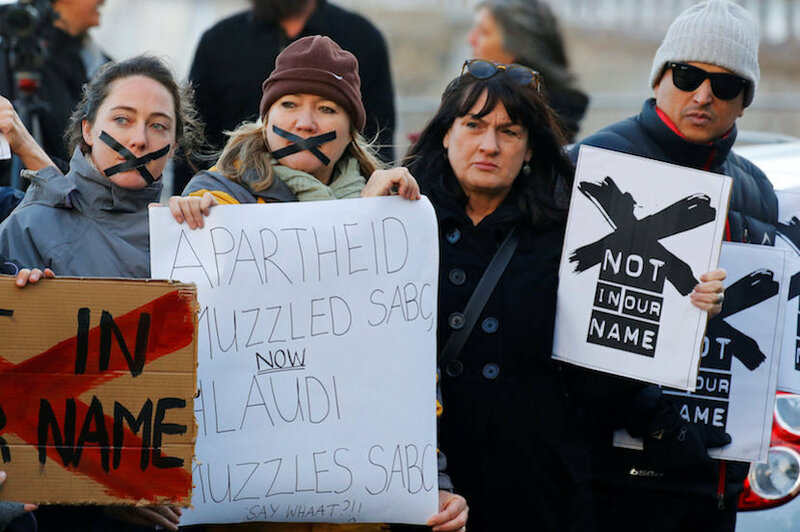 When the death of SABC8 member Suna Venter was made known on 29 June, the Democratic Alliance — through its shadow communication minister Phumzile van Damme — immediately expressed its condolence. Almost 18 hours later the ANC communication minister, Ayanda Dlodlo responded, not with a specific tribute to Venter, but in a broader statement about four news people who had died in the past few months. Given the role that the ANC’s deployed cadres like Hlaudi Motsoeneng had played in the persecution of Venter and her colleagues, this was not surprising. Devoid of honesty or honour after twenty years of ANC control, the SABC dismissed the death of Suna Venter in two sentences in its flagship 7 pm English TV news bulletin on 29 June and refused to give live coverage of her memorial service last week, leaving it to rival station eNCA to do so. It is a despicable organisation — like the political party that it has so slavishly idolised and promoted for the past two decades. It was also in contravention of all the norms of ethical news broadcasting. Continuing in the ANC tradition of action or inaction to the detriment of the SABC, the Speaker in the National Assembly, Baleka Mbete is, for as long as possible, delaying tabling the report about the Motsoeneng supporters and deployed cadres who lied to parliament and President Jacob Zuma ’s tardiness in appointing the Special Investigating Unit that could result in Hlaudi Motsoeneng getting away with his ill-gotten gains. It just goes on and on doesn’t it? It was eNCA legal journalist Karyn Maughan who brought to our attention in a Twitter post that, at the height of her appalling ordeal, Suna Venter had the words ‘Were You Brave?’ tattooed on her arm. Ivor Price, former SABC news anchor who was told to leave the SABC building in Auckland Park after expressing concern about the ANC-controlled state broadcaster’s corrupt news practices and its victimisation of ethical journalists, referred to Venter’s bravery in a tribute carried in Naspers newspapers, part of which I have translated. Few people are really aware of all the personal setbacks so many of us suffered as a result of Motsoeneng’s reign of terror. Few people know of all the sleepless nights, the fears, tears and rejection that are now manifest in Suna’s untimely death. Suna took most of the blows on her own, in nearly heroic silence until her body gave up this week. For those of us who remain, this is an incentive to be braver in our fight for a cause we believe in, but also a quite serious warning that we will simply have to do more to avoid walking the same road again. Read Foeta Krige’s angry polemic which recalls the role played by people like Anton Heunis, specifically named by Suna Venter, as one of the leading ‘Enforcers’, who retired for health reasons in 2015 but was still healthy enough to continue working as an adviser to Motsoeneng – on a salary of more than R4 million a year. He would also have been referring to the role played by Alwyn Kloppers in Motsoeneng’s appointment and in the subsequent and farcical SABC-manipulated disciplinary hearings at which, for obvious reasons, Motsoeneng chose not to testify but where Kloppers was the only witness to give evidence in his defence. There is one person who knows exactly what happened when Motsoeneng was first appointed. 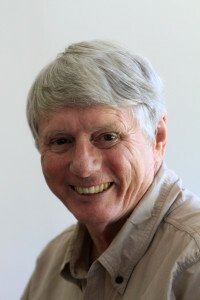 Helena (Botes) van Vuuren was News Editor in Bloemfontein under the late Jan Olivier as Regional Editor in the mid-1990s. Helena did the initial interview with Motsoeneng and processed his application which was supported by Kloppers and Pippa Green. When she found that he was not suitably trained or qualified to be appointed, her concerns were ignored. Olivier backed her. 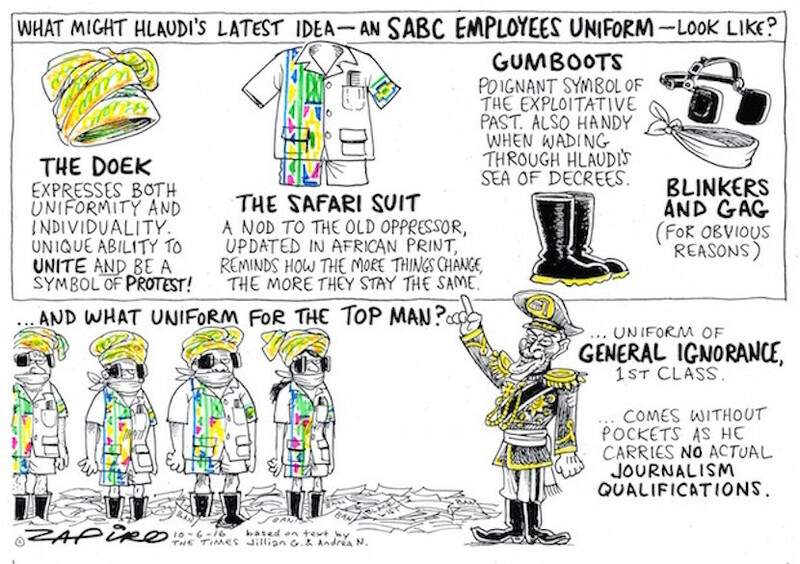 Eventually both were overruled and the Intellectual Lecher, the man with his own choir and his own bodyguards – paid for by you and I – was appointed and the financial damage to what has been ‘transformed’ by the ANC into a state broadcaster runs into billions of rands. The reputational damage to the SABC and the country is incalculable. At a subsequent disciplinary hearing, Jan Olivier was made out to have been an evil racist who wouldn’t give Motsoeneng a chance. In fact, Olivier did his job, pointing out to Kloppers in the process that the appointment would be a transgression of SABC regulations. Olivier was posthumously vindicated by the findings of the SA Press Council in 2012, by the findings of Thuli Madonsela’s in her report, ‘When Governance and Ethics Fail’ two years later and, subsequently, by a series of court findings. More cartoon magic at www.zapiro.com. These are the people who form part of the network Mr Hlaudi Motsoeneng created around him to execute his decisions and agenda – specifically as it pertains to the newsroom. These are the main enforcers of Mr Motsoeneng’s wishes in news management. 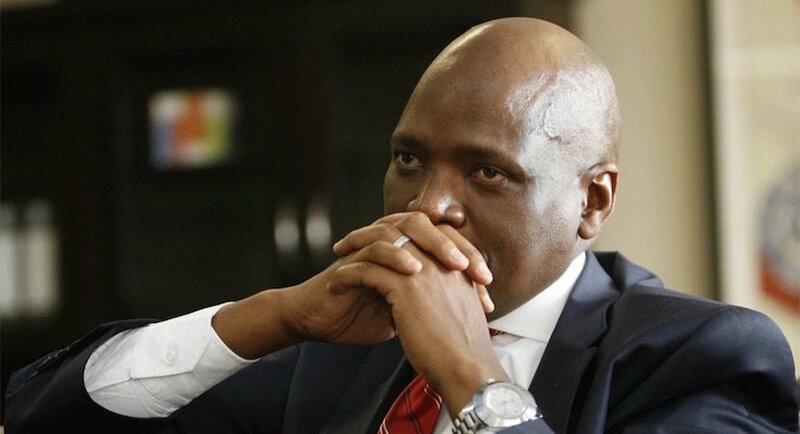 They continue with their ways even in his absence and although I personally have no supporting evidence, Mr Motsoeneng is believed broadly to still be calling the shots on many levels at the SABC despite his removal. She’s dead, they’re still there – snouting feverishly, as Foeta Krige points out – and this oppressive behaviour towards employees is scheduled to continue on their watch. A new purge has started with Sully Motsweni, mentioned in the Public Protector report as an irregularly promoted Motsoeneng favourite, playing a singular role. What needs to be stressed and cannot be emphasised strongly enough is that way in which Suna Venter was hounded to her death is unique to the post-1994 era of ANC control of the SABC. So, too, was the experience of former forensic auditor at the SABC, Elsje Oosthuizen whose home was firebombed after she started investigating the corruption of Mafika Sihlali, the Elephant Consortium partner of Dali Mpofu who joined him at the state broadcaster – no conflict of interest there, of course – and whose scheduled prosecution has subsequently mysteriously disappeared from the court rolls. Nothing remotely like this happened to staff prior to 1994 when Wynand Harmse was the chief executive at the SABC and people like Kobus Hamman and Johan Pretorius ran the news division. Two things are clear about the horrifying victimisation of Suna Venter which included almost daily SMS messages threatening her life and her home being routinely broken into. Should you dispute the first point ask yourself why SABC 8 member, Thandeka Gqubule, whose courageous and eloquent testimony was one of the highlights of parliament’s Ad Hoc Committee inquiry into systemic, ANC-controlled SABC corruption and abusive behaviour towards staff, was not shot in the face in an attempt to blind her and was not abducted, tied to a tree and left to die in the field which was set alight around her – as happened to Venter? This is an incontrovertible fact which in no way diminishes the stellar role played by Gqubule in the fearless struggle by the SABC 8 to counter media oppression. and the attempts to silence them. What also needs to be remembered is that Suna Venter was not the first person to die because of Motsoeneng’s evil machinations which were strongly endorsed and supported by ANC sock puppets like Faith Muthambi, Ellen Tshabalala, Ben Ngubane, James Aguma, Mbulaheni Maguvhe, Nomvuyo Mhlakazathe, the wife of ANC MP Buti Manamela – whose appointment to the SABC board was a typical example of ANC nepotism – and the above-mentioned ‘Enforcers’. Read the article by Crystal Orderson, a former colleague in the SABC’s Sea Point news office, who describes Motsoeneng’s early career in Bloemfontein. It was during this period that he threatened the life of a senior white colleague who was opposed to the way in which that office was being turned into an ANC propaganda centre by Motsoeneng. As a result of this threat, the white staffer resigned, was unable to find alternative employment and, in despair, took his own life, bereaving his widow and orphaned children. That’s how the ANC rolls. A clear message that dissent will not be tolerated was sent by one of the country’s leading purveyors of Fake News when an editor was dismissed for publishing an article critical of the ANC and the Zuptoid facilitator Brian Molefe. An appeal to the SA Press Council by Dr Iqbal Survé against the exposure of this matter – in a rival newspaper, of course – was dismissed. Surveillance of SABC staff is being stepped up by its Zuptoid management. Former colleagues at the SABC’s regional headquarters in the Western Cape, the building in Sea Point, tell me that it is being saturated with CCTV cameras. I have little doubt that the same process is happening in SABC buildings throughout the country. It would be interesting to know the tender details and whether our State Security Minister, the immaculately manicured David Mahlobo, played any role in this increased surveillance of SABC staff. Questions in parliament please because even at the height of civil unrest under PW Botha during the 1980s, such steps were never contemplated by the SABC management at the time.